Has anybody heard of this technology? Vapor fuel injection System? The link below a quick read of patent description. Notice how they single out ethanol fuel as most attractive to the technology. Many E-85 enthusiasts love the high hp performance of the fuel. Race fuel. They refer to the cooling effect and ability to pack the combustion chamber with more fuel gaining more power. Also, the ability to burn more of the oxygenated fuel efficiently with same amount of air, again more power. But, what of the high mileage folks? This ability no good for high mpg. 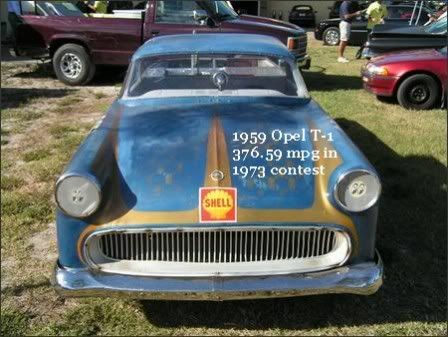 Sure, you can make a smaller engine, that will help, but is their anything directly propelling high mpg with loss of hp? 2. Ford Ecco boost technology adjusts the fuel burn variability out, with E-85 DI. This is the most accurate and beneficial blender technology....inside the chamber. 3. The internal spray of fuel, DI, makes fuel combine with oxygen efficient. Meaning the chamber heat and high pressure spray atomizes the air to small particles of fuel air mix. This small molecular combinations most efficient burn. Does that make sense, do you know what I mean? But, this VFIS system has all of these advantages with the advantage of harvesting the exhaust heat power. This makes for more efficient engine for mpg. Less fuel needed to vaporize and heat up combustion chamber. Now this is just in reverse logic to those of you wanting max power. 455 (if I remember) mentioned once of vapor fuel being superior. He didn't explain, just mentioned the fact. Also, the diesel engine folks using ethanol vapor fuel. These folks pretty excited upon the technology. May this be the better technology for better mpg? Well, the 'vapor' fuel scam has been around as long as I can remember - gas crunch of the mid 70's - and probably long before that. This seems to be just a modern rendition of that. I would argue that in a modern, properly tuned engine, combustion efficiency is probably one of the SMALLEST losses in efficiency. Modern engines simply do not emit that much HC's - even before the catalyst. Billions (if not trillions) of dollars have been poured into research in combustion efficiency is VERY high. As for the second half - friction / heat dissipation are pretty high for an ICE, but outside the very small amount of heat returned in the vapor, this system doesn't really address that. You could get nearly the same effect by routing some flexible ducting to pick up warm air from around the engine exhaust manifold. I don't see anywhere they mention this is actually a working system. I think the big issue is to size an injector which can inject liquid or vapor in significant quantities. One quick chart I see shows ethanol liquid @ .789g/ml and ethanol vapor at .0015 g/ml. That is a 526:1 ratio. Even if you allow some correction factor because the vapor would be compressed while the liquid is incompressible - say typical 3 bar injection pressure - that ratio would still be 175:1. This is certainly nothing which would retrofit to a standard fuel injection system - unless the original injectors are oversized by a factor of 200! There have been some rumblings from the 'supercritical fluid' fuel injection camp. http://green.autoblog.com/2010/03/04/transonic-gets-supercritical-with-fuel-injection-claims-50-75/ They do away with the spark plug and inject the fuel in a very high pressure supercritical state. They claim a fairly large gain in efficiency - at least in lab tests. So maybe 1/4 or 1/3 of that would transfer to real world. Ya, the paper leaves a lot of unanswered questions. I was envisioning the exhaust and intake being placed side by side such as a plate heat exchanger. This would pump the intake to near exhaust temps. What if the inventor was also describing a small separate high temp high pressure chamber. This chamber charged with intake air and fuel injected for obtaining max vapor pressure from exhaust heat. The pressure and heat of fuel takes on the super critical as you describe. Being mostly a gas but dense like a liquid? Vaporizing ethanol an improvement for cold starts. A chamber with diesel glow plug elements? The sterling engine achieves decent efficiency only with the efficient exhaust to intake heat exchanger. They call it something else, but that's what it is. Take a look at the "Revolution" steam engine. The inventor claim a jump in efficiency mainly do to critical steam pressures and exhaust heat exchanger to intake. Critical steam appears to be the same phenomena. Heat exchanger technology really has undergone big improvements. The "Revolution" engine targeted to auto use. The Army is building one for tank auxiliary power generator. They can get all the heat they need from main turbine exhaust. The auto engine model has startup torque so high, no transmission needed. A 200# pound engine puts out 2-1/2 hp per cubic inch, requires no transmission, and has the max torque curve at the most used portion, runs any fuel, ultra low emissions as the fuel burns at ambient air pressure. I suspect the lube free piston is weak and short lived....the one huge defect IMHO. IC engines lose roughly 60% of energy to heat of exhaust and cooling water. Picking any of that an improvement. Oh, again the technology described below is counter intuitive to all the power/sports enthusiast. This technology would make a engine produce less hp per cubic inch, but should boost efficiency to gain higher mpg. The VFIS promotes lean burn capability as they advertise? Is that legal for pollution control? "This chamber charged with intake air and fuel injected for obtaining max vapor pressure from exhaust heat". Oops, it couldn't be charged with air and fuel.....ignition. This hot chamber must be pressurized with fuel vapor only. A injection system with pressure feedback. 1. High energy fuel that would mix quickly, thoroughly, and easier pushed to combustion....either spark or heat ignition. 2. Also, if the inlet gas temps were exited by heating with exhaust the same effect on the fuel. I was reading an engineers thoughts on the Ford's Ecco-boost future testing for hp/efficiency gains. They mention the system of DI of ethanol supports diesel ignition under certain operating conditions. They plan on operating under diesel ignition probably for max hp and temperature. The diesel cycle bumps up efficiency 30% alone. So, you see, may the CICS system and the critical vapor of ethanol support diesel ignition? Heating the intake air and inlet fuel vapor enough excitement of gases to support diesel heat ignition without the ulta high compression such as the typical Scania ethanol diesel? These true diesel engines use up to much energy to compress the gas 28:1. The engines have to be so heavy and strong. The Israeli manufacturer ETL is currently working on ceramic micro turbine plugin hybrid technology as reported on site previously. The high efficiencies of this micro turbine due to efficient heat exchanger with exhaust gas to inlet air and to the ceramic high temperature materials. Makes one think? Exhaust heat reclaim. The traditional IC engine so bad at kinetic conversion of chemical energy.....they make good water heaters, 65% efficient. Check out "Polar Power". This company has a co-gen 20hp Kawasaki powered by NG for home energy. The exhaust hooked up to hot water heat exchanger as well as engine cooling water. The engine drives a electric generator and or a heat pump. The drive utilizes a common auto AC compressor clutch to engage compressor. NG fuel is roughly half or one third the cost of electric for the work done. Compare hot water heater costs for example. The same results with comparing an electric motor driven heat pump vs NG. This company really has an interesting combination, for instance the hot water generated can be combined with heat pump to put out 100,000 btu heat. Air conditioning energy co-gen with heating hot water. The system overall efficiency better than the power generating plants and the high efficient furnaces. Cost of electricity less than the grid. For best operation, most efficient, best to produce DC power and charge lead acid fork lift battery and utilize AC converter. Pay back supposedly better than most alternative energy and would think ethanol could be utilized the same, but at more cost. Over b'fast was thinking of cold start problems. Well, ethanol in general suffers currently with cold start. Pollution, smooth operation, and efficiency. The fuel cools the inlet temperatures and vaporizes poorly under cold temps. Now, this exhaust heat reclaim heat exchanger would easily vaporize ethanol, but what of cold start? How about a ethanol furnace open air combustion. Think of a small open air combuster setting below the two heat exchangers, intake and fuel. This natural draft furnace operation like ASHRAE regs of ignition and thermocouple feedback to either shut down fuel or allow. Upon cold start the furnace lights up with spark plug ignition and injector spray of fuel. Air and exhaust naturally draft, maybe through exhaust pipe, maybe just to vent. Just a short combustion cycle to assist warm up of engine. Open combustion of fuel has no pollution problems as compared. This setup more effective than running conventional cold start of unleaded fuel. This type of engine probably like Ford Ecco-Boost probably to run as spark ignition or diesel depending on operating conditions. Diesel operation for idling would save fuel for a hot engine. The engine has the potential to eliminate the expensive turbos. That would be attractive. Substitute heat of intake and fuel upon exhaust source for pressure boost of exhaust turbo? May they be interchangeable? It is not a scam if done correctly, but its not a device you stick in the air filter. One of the reasons why ethanol makes less waste heat is how it vaporizes rather than is just a spray as from an injector. Atomization leaves a relatively large fuel particle and when it is made of gasoline it takes a while to burn, the piston is already most of the way down, or it is already coming up on the exhaust stroke. That late burning is why we need catalytic converters to burn the unburned fuel, and it also heats the valves, head, block, piston etc because it is not making power, it is making heat only at that point. A guy named Smokey Yunick did it with gasoline back in the 60s, but that was a very different sort of gasoline than we have today. He was using a race fuel and mechanical injection if I remember correctly. The problem with todays gasoline is the components of it have various boiling points where ethanol has one at 173F at sea level. So rather than getting a vapor you get bubbles in the fuel system from the lower boiling point of some gasoline components, and other things will not boil because their boiling point is far higher than the temp you want to run the engine. Air bubbles in a fuel system is not a good thing, its called vapor lock. You can raise the pressure but gasoline can still vapor lock at 50psi with enough temperature, plus its boiling point and pressure required is variable. We know that raising the pressure also raises the boiling point. So a boiling point of 173F at sea level is much lower at 5000' altitude, and under pressure much higher. A modern fuel system can handle 60psi quite easily and that raises the ethanol boiling point considerably. So it is hot enough to boil at sea level or above, and its under pressure in the fuel rail and injector. Now heat the fuel and release it into the relative vacuum of the intake port and it instantly boils as it comes out and the pressure is released, hence very very small fuel particles with a very good mix of air for a more complete combustion and good power with far less waste heat. Ethanol pulls the heat out of the surrounding air and metal when it vaporizes, you know, latent heat of vaporization. So you still get the cooling effect from the fuel but getting it to boil coming out of the injector means your mileage goes up substantially. Ethanol engines like to run hotter than gasoline engines due to everything above, yes they make best power with a nice cold intake charge, but when you heat the air, fuel, and the engine to over 200F you pick up efficiency without a huge loss of power. Now crank up the compression for more efficiency and you have the makings of a very efficient and powerful dedicated ethanol engine. Obormot had some pics of a heated fuel rail that would be a safer alternative to a direct flame on the fuel system for a cold start. You could run the battery powered heater until the engine started or warmed enough to use the coolant to heat the fuel. This is something I plan to experiment with on the 98 Gran Prix I got for a winter beater, it has the 3800 V6 in it and the fuel system is in each reach, unlike the LS1 V8 in my Formula. Using E85 is more complicated than neat ethanol simply due to the gasoline component in it with its wide range of boiling points. Hope this helps. Gotta run and get some 65 GTO parts. 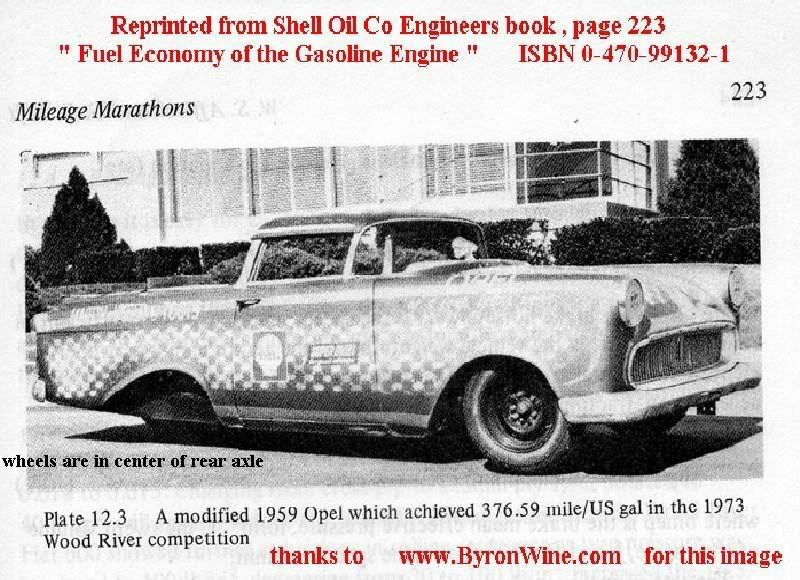 This vehicle used "vapored" gasoline to obtain the "unthinkable" mileage. It was recently sold (2009) to someone who is going to restore it. It was only for a 26 mile drive that included 55 mph state highway, 25-40 mph two lane winding county roads, congested city driving and small town city driving. It was 70F at 8:40pm when I arrive home and took this photo. Hey Billy, I can't read your photo--what was your mileage reading? Those are incredible photo's. Makes you think what's going on? What 455 post of the complex hydrocarbon chains of petrol with resulting mix of vapor pressures....the post Hotrod put on pollution of petrol burn....the quoted author said a hundred and something different combinations of molecules ID upon petrol. I read the automotive engineers complaining of utilization of ethanol with petrol as the fuel takes on a different personality upon different concentrations of ethanol. This is due to the complexity of petrol. Petro formula changed from region of world whereupon it was pumped or harvested as in oil shale. Corey posts of optimum stoichiometric ratios of fuel air whereupon no more efficiency harvested. I read that also, yet my question....why is it that upon lean burn engines rev higher and race better? The explain it as a better burn or more complete burn of hydrocarbons. This makes sense as heat is power, so we must be harvesting more power. My theory is like what 455 posts, that stoichiometric ratios just mean carbon burns, not that is burning efficiently. Like a smoldering log on the fire as compared to the blazing hot fire of a wide open burn. Both burns produce the same amount of ashes. Also, how about the catalytic converter burning so hot and in need of light off? Isn't that representative of energy unused? The only reason petrol is in ethanol is for cold start? If so, you solve cold start without needing ethanol and you have an engine running a simple fuel much easier to control and easier to minimize pollution.